Overnight in Tel Aviv (Carlton, Tel Aviv). Bus tour to the security wall (dividing the West Bank from Israel) and to Israeli Arab villages. Includes on-location talks and a briefing from the Israel Defense Forces. We will observe here that in some areas the wall does sit on the 1967 lines. Besides reducing terrorism to almost zero in Israel, many Israeli Arabs say crime has dropped in their villages since the wall was built. According to police statistics this is also true with crime (specifically theft) in many Israeli centers of population. Morning walking tour to Jaffa. 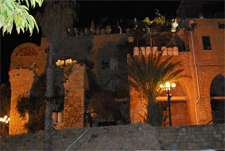 Jaffa is an ancient port city believed to be one of the oldest in the world. 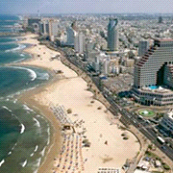 Jaffa is now part of Tel Aviv and is Tel Aviv's partly Arab, partly Jewish elder sibling. 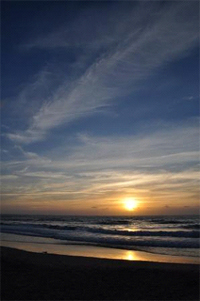 Archaeological evidence shows that Jaffa was inhabited some 7,500 years BCE. 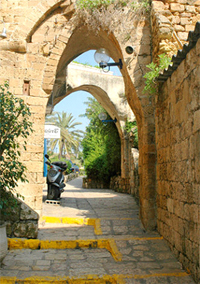 Jaffa's natural harbor has been in use since the Bronze Age and it is mentioned four times in the Hebrew Bible, as one of the cities given to the Hebrew Tribe of Dan. 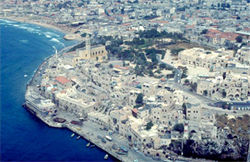 In 1515 Jaffa was conquered by the Ottoman Sultan Salim I. During 1917–1920, there were thousands of Jewish residents in Jaffa. A wave of Arab attacks during 1920 and 1921 caused many Jewish residents to flee and resettle in Tel Aviv. The 1936-1939 Arab revolt in Palestine, also known as the Great Arab uprising, inflicted great economic and infrastructural damage on Jaffa and became a symbol of Arab resistance. Before Israel's War of Independence in 1948, the UN's Special Commission on Palestine in 1947 recommended that Jaffa become part of the planned Jewish state. Due to the large Arab majority, however, it was instead designated as part of the Arab state in the 1947 UN Partition Plan. 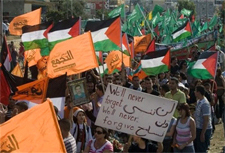 Ben Gurion's Haganah, Lehi and the Irgun opposed a peace agreement with Jaffa's defenders, the Muslim Brotherhood. After the creation of the State of Israel, the government announced the annexation to Tel Aviv of Jaffa's Jewish suburbs, the ex-Arab neighborhood of Abu Kabir, the ex-Arab village of Salama, and some of its agricultural land, and the Jewish 'Hatikva' slum. The abandoned Arab village of Sheikh Muanis was also annexed to Tel Aviv as was the former Arab neighborhood of Manshiya and part of Jaffa's central zone including land that had been in the Arab portion of the UN partition plan. 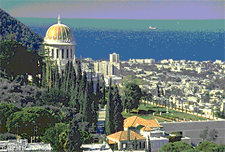 The government decided on a permanent unification of Tel Aviv and Jaffa on October 4, 1949. 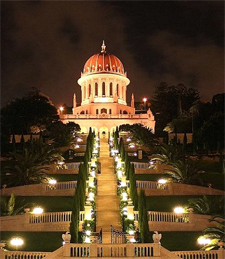 Northern Israel has some of the country's most spectacular geography – and where most Israeli Arabs live, including Haifa which is 50 percent Arab. 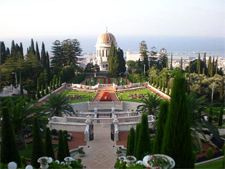 Haifa is a model for coexistence between Jews and Arabs, here scores of Arab families have bought lavish homes in the Carmel hills overlooking the sea. 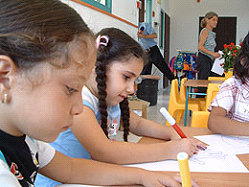 Also some of the local Arab schools are the best in Israel. We will see similar coexistence of Arab and Jewish populations in Nazareth, and Acre, however with a different level of integration. We will also see the Ara valley; 100% Arab, here we will find a population that enjoys all the nation's benefits and privileges (including Knesset representation) with hardly any contributions a major contention to many Israelis. 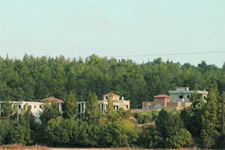 Wadi Ara is a former Palestinian Arab village located 38.5 km south of the cityof Haifa. 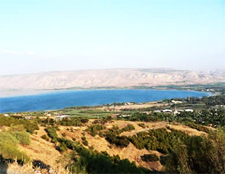 northwest of the Green Line in the Northern West Bank. Israel renegotiated the cease fire line in the Wadi Ara area of the Northern West Bank in an agreement reached on March 23, 1949 and incorporated into the General Armistice Agreement. 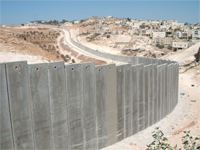 It has been estimated that 15 villages were ceded to Israel. 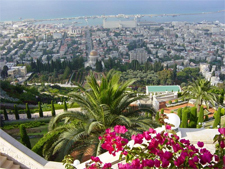 This area is included mostly within Israel's Haifa District. The Ara area has come under political attention as some Israeli politicians such as Avigdor Lieberman of the Yisrael Beiteinu party have brought up transferring the area to the sovereignty and administration of the Palestinian Authority for a future Palestinian State. In return the Palestinian Authority would transfer specific large Israeli settlement "blocs" within the West Bank east of the Green Line to Israel. According to politicians who support this land-swap, Israel would ensure and secure itself as a primarily Jewish state. However, many politicians within the Knesset disagree and believe it would only decrease Israel's Arab population by a mere 10%, while most Israeli Arabs object to trading Israeli citizenship for Palestinian citizenship. Bus tour to the Golan Heights. Briefings from the IDF command on Hizbullah and Syria situations. 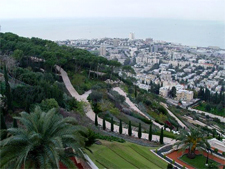 A comprehensive tour of the city, including the Hebrew University - Mt Scopus, Mt. Olives and all the main sites. Knesset visit, The Supreme Court, Municipality of Jerusalem and more. 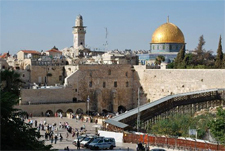 We will devote a part of the day to visits in the East part of Jerusalem (Arab population, annexed to Jerusalem). This population, though "Palestinians" enjoys complete autonomy in the city. Despite world opinions and propaganda, here the question needs to be asked what are the real wishes of the Palestinian inhabitants of East Jerusalem? We will see that the majority prefer to live under Israel and they are fighting to keep their Israeli - ID cards. 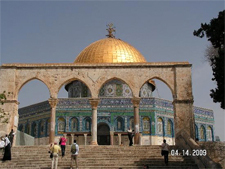 The term "East Jerusalem" refers to the area under Jordanian rule between 1949 and 1967 which was incorporated into the municipality of Jerusalem after 1967. Following the 1967 Six-Day War, the eastern part of Jerusalem came under Israeli rule and was annexed to Jerusalem, together with several neighboring West Bank villages. In November 1967, the United Nations Security Council Resolution 242 was passed, calling for Israel to withdraw "from territories occupied in the recent conflict.". 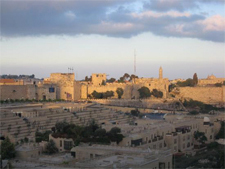 In 1980, the Knesset passed the Jerusalem Law, which declared that "Jerusalem, complete and united, is the capital of Israel," however, without specifying boundaries. This declaration was declared "null and void" by United Nations Security Council Resolution 478. 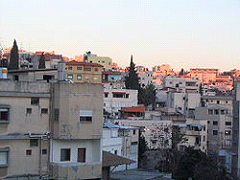 Silwan or Kfar Shiloah is a mostly Arab neighborhood of roughly 45,000, adjacent to the Old City of Jerusalem. Historically, Silwan was located on the eastern slope of the aridable Kidron Valley, above the outlet of the Gihon Spring opposite the City of David. There is an attempt to Islamize Zionism … in the sense that the importance of Jerusalem to Jews and their attachment to it is now usurped by Palestinian Muslims. Islam and Jerusalem is a crucial aspect of the Arab-Israeli conflict and the goal of the conference would be to bring greater awareness of this topic to the participants. This has several dimensions, including the historical ("The Muslim Claim to Jerusalem") and the ideological ("Muslim Zionism"). Depart Israel or extend your stay in Israel on your own. OR join us for our Eilat and Petra extension…. Free day in Eilat, enjoy the sandy beaches the various water sport activities and exciting attractions such as the underwater observatory and aquarium, Dolphin Reef, Camel tours, ATV desert tours and more. Full day tour to the amazing "red city" of Petra. 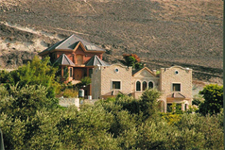 Transfer from your hotel to the Arava border point with Jordan, cross into Jordan and drive to the rose city of Petra . Visit to the wonders of the ancient city of Petra the Rose Red City carved by the Nabataeans out of solid rock. A visit to Petra is one of the true highlights of any tour to the Middle East. For hundreds of years, Petra was forgotten until it was rediscovered in 1812. The entire city is carved into the sides of a deep gorge, which is entered on foot or by horse-drawn carriages. In the late afternoon return to your hotel in Eilat . AM free in Eilat, noon check out from your room, late afternoon flight to Ben Gurion International Airport to connect to your flight back to North America. 6. Border taxes and tips on tour.